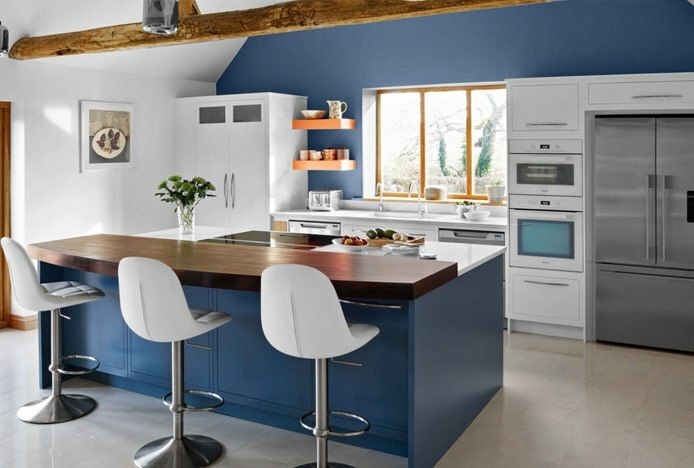 So you’re redesigning your kitchen? You’ve chosen your colour scheme, planned your layout, and spent hours picking out the right oven. But have you considered its textural appearance? Often overlooked, texture is as important as colour in interior design. It adds visual interest to a space, enhancing safer, neutral colour schemes. Using it correctly can make a room feel bigger, lighter or even darker, so it’s important that you get it right. 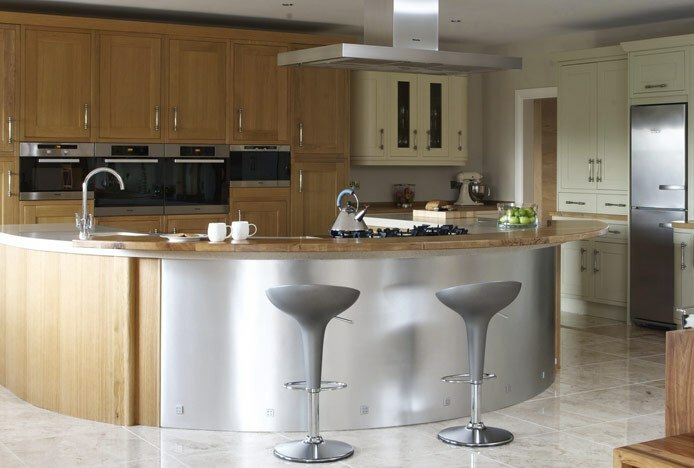 There’s a huge range of textures that you can incorporate in your kitchen design. From glossy ABS to rustic stone, luxurious marble to homely fabric, each material that you incorporate will have a different effect. For example, while high-gloss cupboards made from ABS and chrome will have a modern look, including leather and granite will lend your space more of a classic feeling. Now you know the importance of texture, how can you incorporate it into your kitchen? This year, textured worktops are set to be huge. Designers are using natural materials like slate, stone and granite, which can be glossy or honed, to lend spaces a tactile aspect. For the brave, reclaimed wood has a unique look, and a real rustic charm. Acrylic stools make perfect contrasting accompaniments to a statement worktop or island, allowing you to see straight through them to your work surface. Not brave enough to go for a slate counter top? No problem. A statement wall is a great way to add interest to your design. Of course, not all of us are lucky enough to have exposed stonework in our homes. The good news is that it’s easy to fake it. Use textured wallpaper on one wall for a cost-effective way to add depth to your look. Or, faux brickwork or wood panels add an authentically rustic edge without breaking the bank. Contrary to popular belief, texture doesn’t have to be rough. When combined, sleek modern finishes create a smooth, super-contemporary aesthetic. Our range of ABS kitchen stools look great alongside high-gloss units, their unique shapes reflecting off of shiny surfaces. To keep the look interesting, try including different shades of your chosen colours. Rustic, industrial spaces are all the rage this year. This look relies heavily on different materials, working together to create a trendy, rough aesthetic. 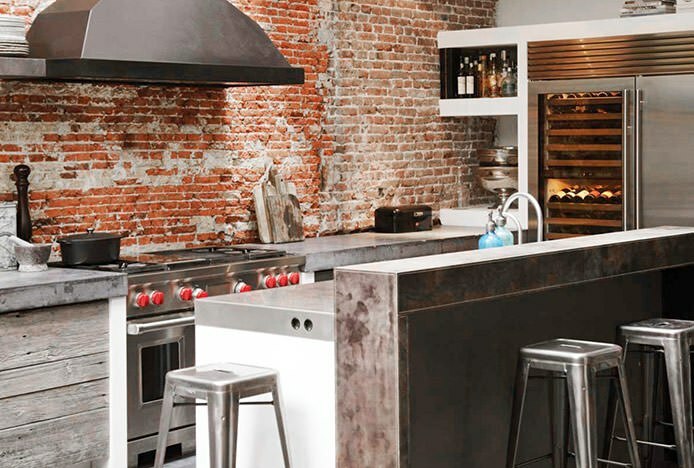 With its exposed brickwork, distressed wooden cabinets and stone countertop, this kitchen nails the industrial style. Our popular Vintage Tractor Stool would add another edge, its trademark factory-style look brings an industrial vibe to any space, or take a look at our entire range of Industrial Bar Stools. Sometimes kitchens can be left feeling somewhat stark and unwelcoming. You can use textural elements to change this, giving your space a more homely feel. Choose fabric stools to add a cosy element to your home. Wonderfully tactile, they are often comfortably cushioned, and combined with coordinating fabric dining chairs they will lend a snug feel to your space. Include mismatched cushions, throws and rugs in soft, warm fabrics to create a relaxing, comforting vibe in your home. While chrome used to rule the roost in kitchen design, today brushed steel is becoming more widely used. With its hand-worked matt look, brushed steel offers a subtler finish than chrome, working well in all styles of interior. For a stunning contrast, combine brushed steel and chrome to create a complex textured look. Another metal that is growing in popularity this year is copper. Smooth or brushed, copper lends a warm metallic tone to any space. Now you know how to use texture in your kitchen, why not take a look at our great range of kitchen stools? We have models showcasing a whole host of different textures, so whether you’re going for a contemporary high-gloss look or a rustic industrial vibe, you’ll find a stool to suit you. 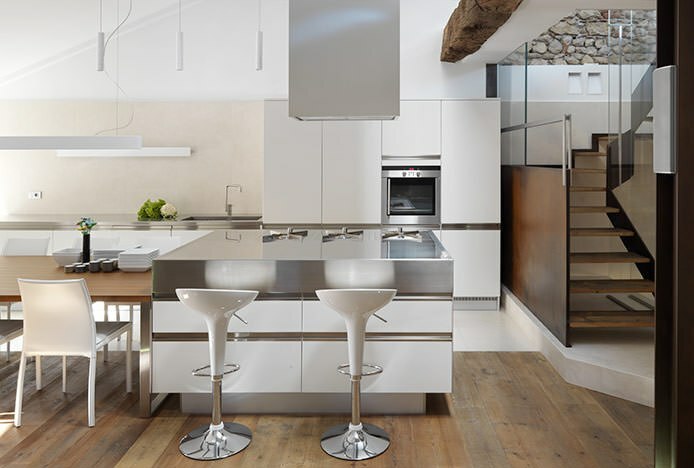 Symmetrical kitchens are balanced, calming spaces. Top tips for achieving the look..